This weekend one of my neighbors came over for dinner. 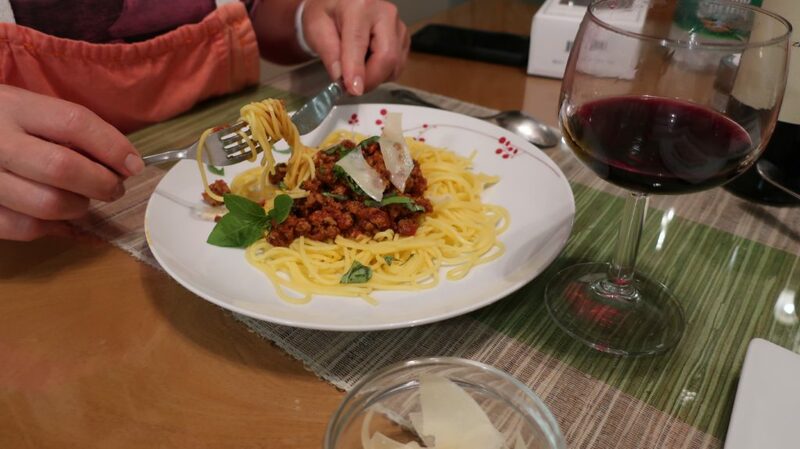 I used this opportunity to catch up with my friend and prepare a delicious recipe. 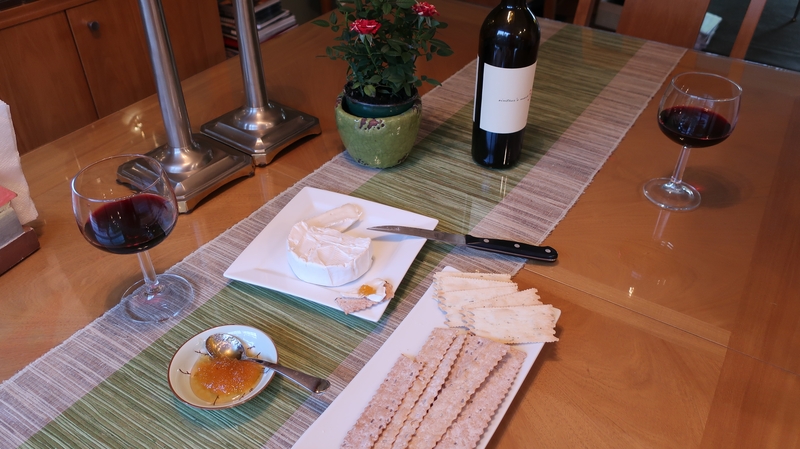 For appetizers we started with a spread of fancy goat cheese, variety of crackers, and a delicious glass of red wine while we were preparing ingredients for our dinner. 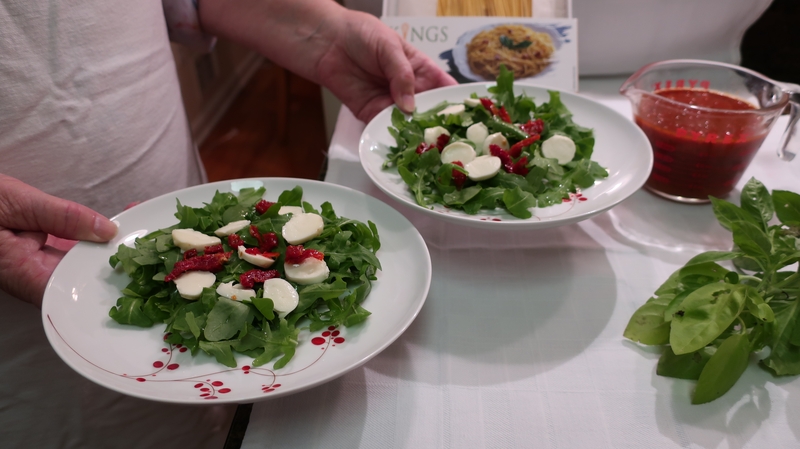 We started with arugula, sun dried tomatoes, and mini mozzarella balls. 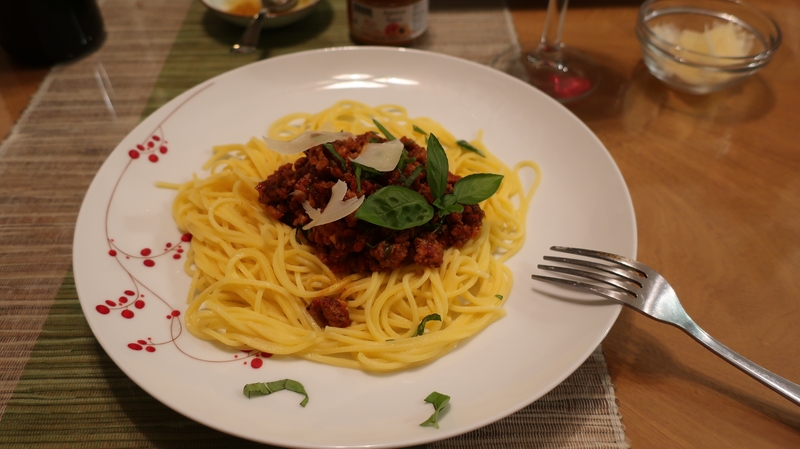 For the main course we decided to make a quick version of healthy bolognaise with spaghetti. 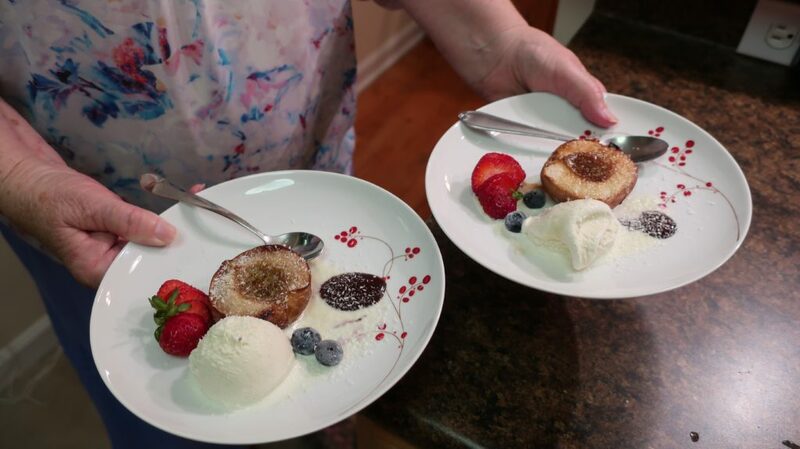 We completed the evening with a baked peach and vanilla gelato. 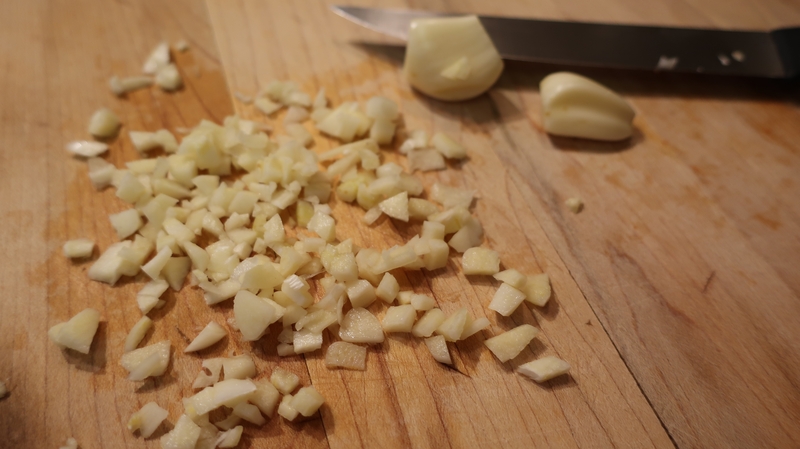 Chop garlic and onion and sauté for 5 minutes. 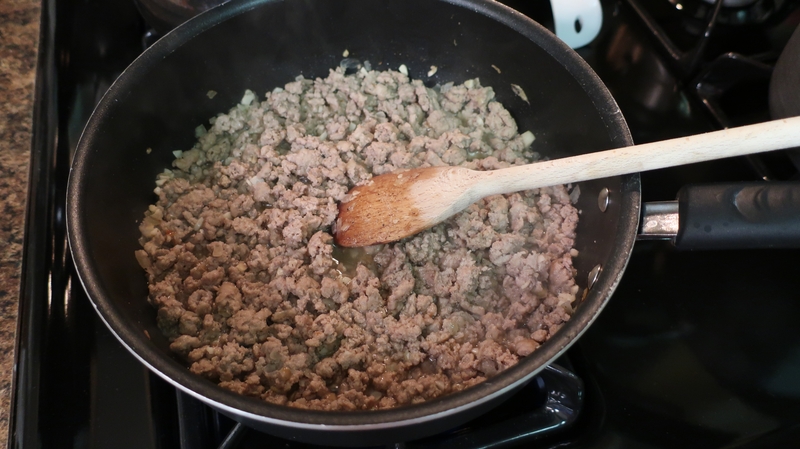 Add ground turkey and cook for 10 minutes mixing it thoroughly. 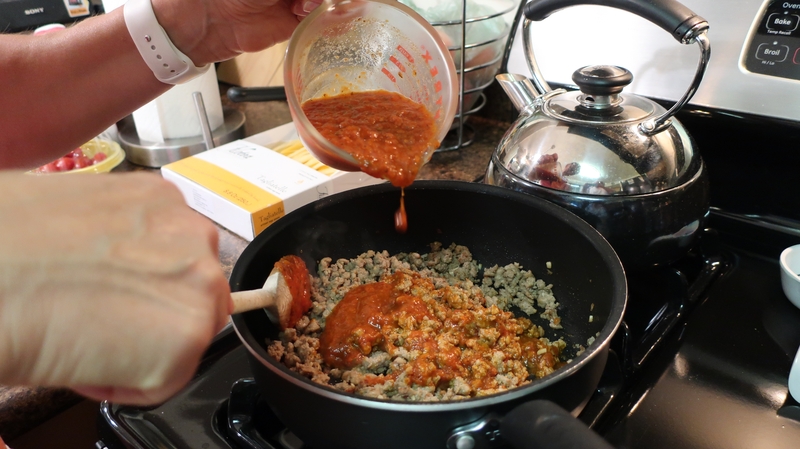 Add wine, tomato sauce and cook for another 10 minutes. 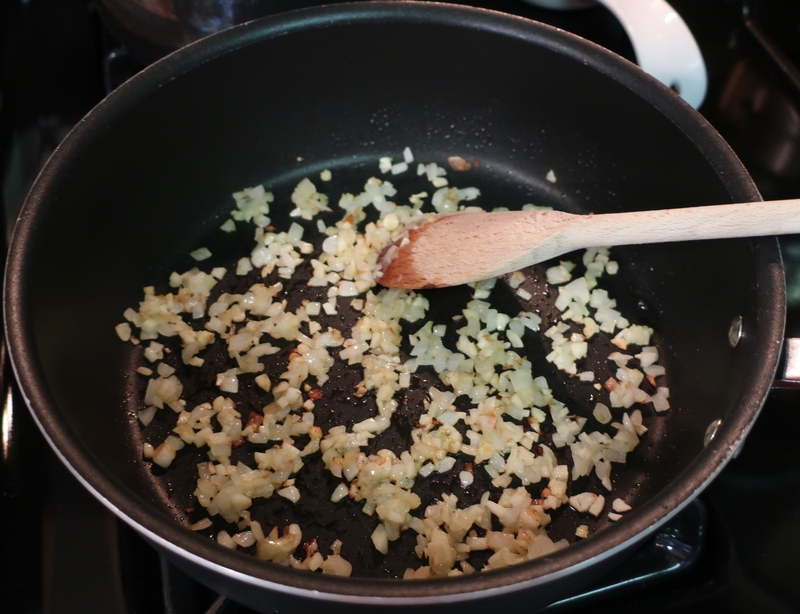 Season if necessary with salt, pepper and paprika. 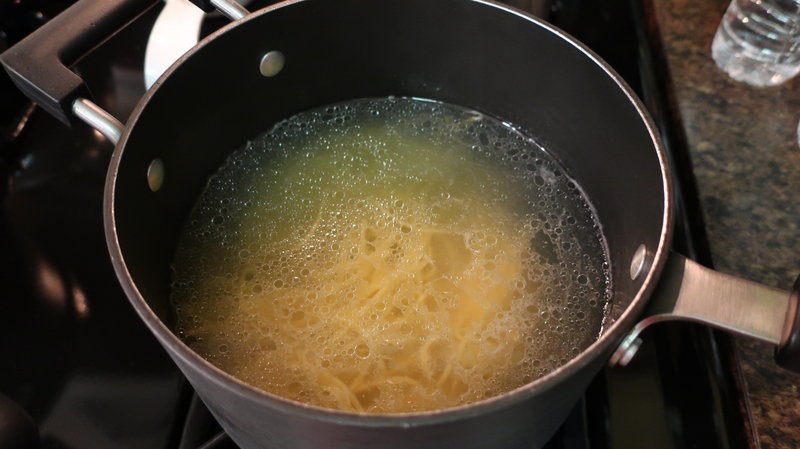 In the mean time set a large pot of salted water to boil and cook the pasta until al dente (4-5 minutes). 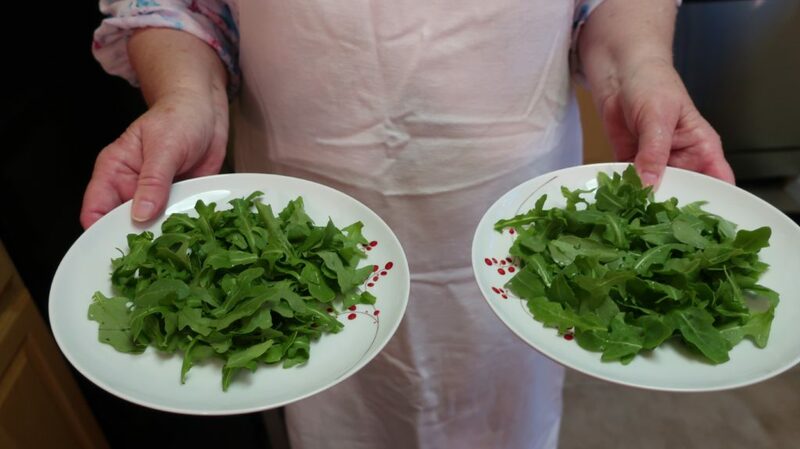 As the sauce was getting ready Susan washed arugula and placed them on the plates. Later she added sun dried tomatoes and mini mozzarella balls. 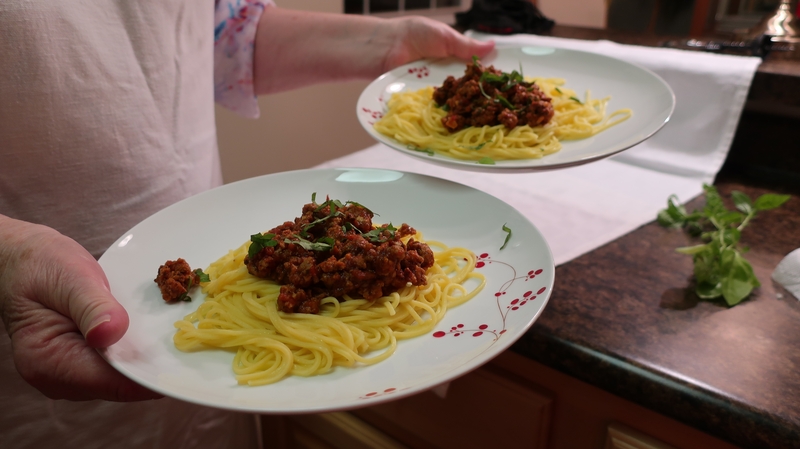 When the pasta was ready I served it on the plates and topped it off with the Bolognese sauce. 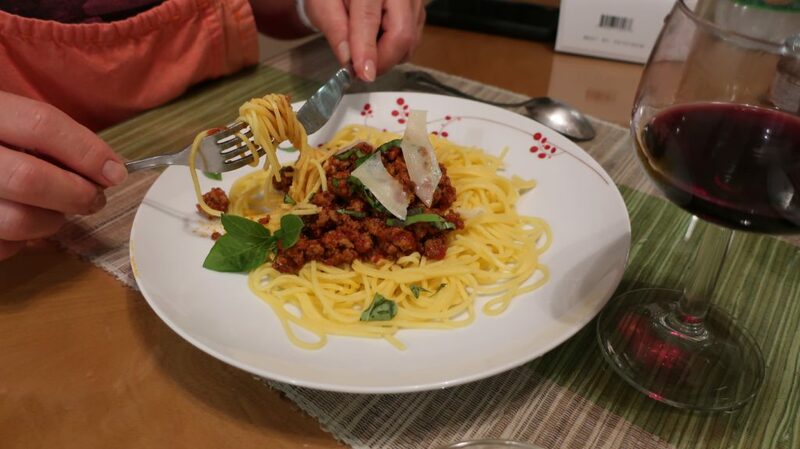 Sprinkle with fresh shaved Parmesan and fresh basil for a final touch. 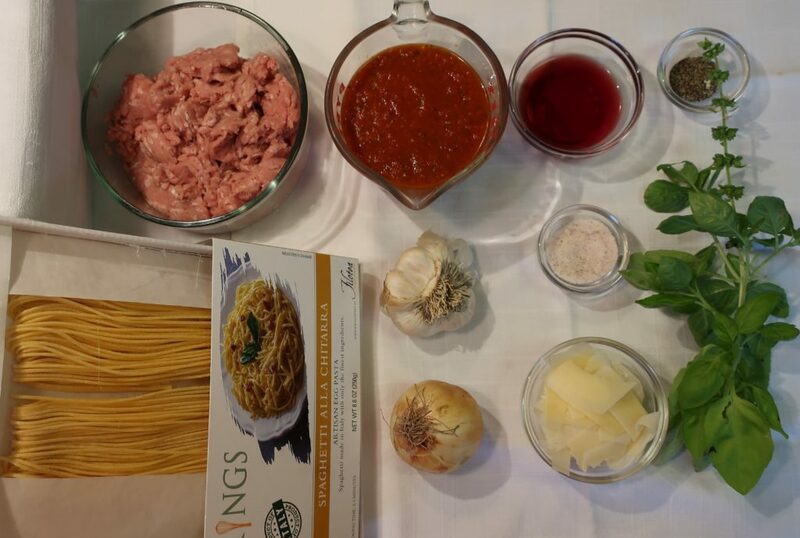 This dish goes perfect with a glass of red wine. 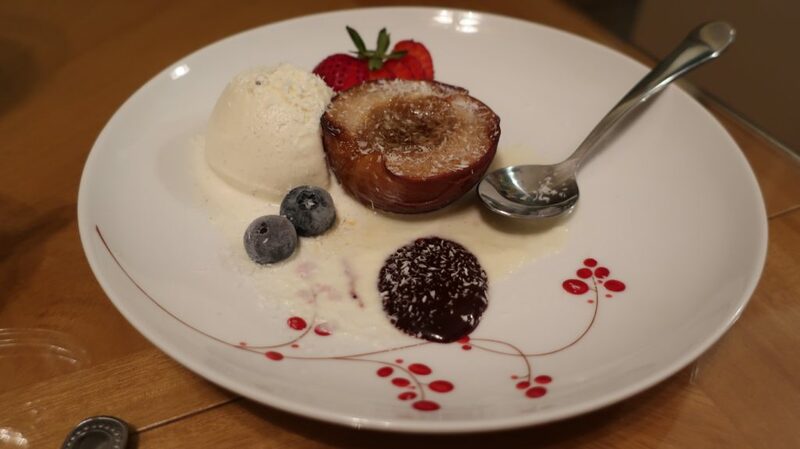 This dinner would not be complete without some dessert and this baked peach with a scoop of vanilla gelato decorated with berries, coconut, and dark chocolate sauce was the perfect finale to a wonderful meal.